One of the business factors that distinguishes Customer Relationship Management (CRM) from other business disciplines is that it's continually changing. The processes you put in place a few years ago for accounting and finance, HR, and, maybe to a lesser extent, manufacturing or service delivery, are probably still satisfactory. However, if your CRM customer strategy is still chugging along on autopilot in the same fashion, you're going to miss customer opportunities, and have problems. 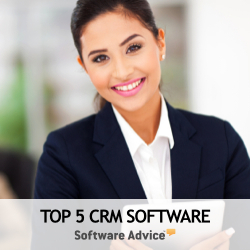 Much of this continuous change is inherent to the dynamic business environment of CRM. If your customer strategies are working, you're learning more about your customers all the time. Part of that includes learning what you don't know yet and what could be valuable, and then advancing your CRM approach to collect that information and make it actionable in the form of new or upgraded business processes. In this sense, CRM is never done. It's an evolving and learning process, and treating it like a set-and-forget IT project is the surest way to doom your CRM effectiveness, and your business results. While some customer facing business process decisions can be reviewed and upgraded in periodic cycles, other aspects of Customer Relationship Management have to be altered quickly to deal with real-life situations and in real time. An example is that of Royal Caribbean Cruise Lines, which had one of its ships dock at the Haitian resort of Labadee, to which it has an exclusive lease to the beautiful wooded peninsula. The ship's guests were treated to a beachside barbecue, open bar, zip-line rides and fun on jet skis. Meanwhile, 60 miles away in Port-au-Prince, people were fighting for survival in the wake of a devastating 7.0 magnitude earthquake. While the cruise ship donated 40 pallets of food supplies, and the proceeds of the Labadee excursion were given to disaster relief, the disconnect between misery and merriment was too much for some passengers – who, thanks to the miracle of social networks, could broadcast their feelings to the world. "I just can't see myself sunning on the beach, playing in the water, eating a barbecue, and enjoying a cocktail while in Port-au-Prince there are tens of thousands of dead people being piled up on the streets, with the survivors stunned and looking for food and water," wrote one guest on the Cruise Critic forum. Since then, the cruise line has gone out of its way to start pitching in toward disaster relief. But the initial news of the catastrophe in Port-au-Prince didn't reach the cruise line only when its ship dropped anchor of Haiti's coast, and someone in the company had to sense that many passengers would be put off by the idea of holding a party while the locals battled for their lives. Could the cruise line have not adapted to the reality of the situation and changed its plans - perhaps contacted a relief organization to arrange a drop-off of supplies (since Port-au-Prince's harbor is wrecked) and offered passengers the opportunity to put together survival kits, or use their time at Labadee in some other purposeful ways? Instead of getting ahead of events, and understanding how those events impact their customer relationships, the cruise line did just what it always did – until the bad press and negative comments on social networks delivered a jolt of reality. If an organization truly understands the discipline of building customer relationships, it pays attention to the events that impact those relationships. If Royal Caribbean had been smart about this, and modified its customer facing processes pursuant to those customers changed behaviors, they could have made their customers feel like they were able to help in a personal way during this crisis thanks to the cruise line. Instead of taking a hit, the cruise line could have built more meaningful relationships with its passengers while doing the right thing by the people of Haiti. They're trying hard to fix the initial impression now – but they should have never had to fix anything in the first place. That makes Royal Caribbean's initial failure to act a CRM failure to learn from.